WENATCHEE — When Jane Davis rounded up the nine Sunnyslope Elementary School fifth-graders for the first Run on the Girls session in February, she was struck by how timid the girls acted and how they didn’t really know each other. 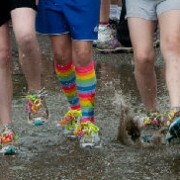 By the time they ran in the Apple Blossom Festival Fun Run in early May it was an entirely different story. Girls on the Run started at Sunnyslope Elementary School in Wenatchee this past February. “By the end, they were eating lunch together and had formed these tremendous friendships — and in 10 short weeks,” said Davis, an AmeriCorps volunteer in Wenatchee who served as the Girls on the Run coach at Sunnyslope. Davis’ own reward came from the simple gestures and quiet observations of others. “It was just from hearing a ‘thank-you’ from the girls, or hearing from teachers that ‘You should see how she puts her head up now’ and ‘You should see how she carries herself down the hall now,'” Davis said. As Girls on the Run wraps up its first year in the Wenatchee Valley, its organizers are brimming with optimism. The national program, which began in North Carolina, helps young girls (third through fifth grades) become more physically fit and develop better self-esteem. It culminates with the girls running an official 5-kilometer race. The local chapter also is laying the groundwork for expansion to other schools this coming fall. Among the schools being eyed: Columbia Elementary and Lewis and Clark Elementary in Wenatchee, and Entiat Elementary. But in order for that to happen, Girls on the Run needs more coaches and assistant coaches. “Coach recruitment is one of the biggest challenges,” said Marlen Mendez, Girls on the Run coordinator. Head coaches must be female, while assistant coaches can be males. The time commitment is two days a week, right after school ends, for roughly five hours a week total. Each coach oversees a maximum of 12 kids. 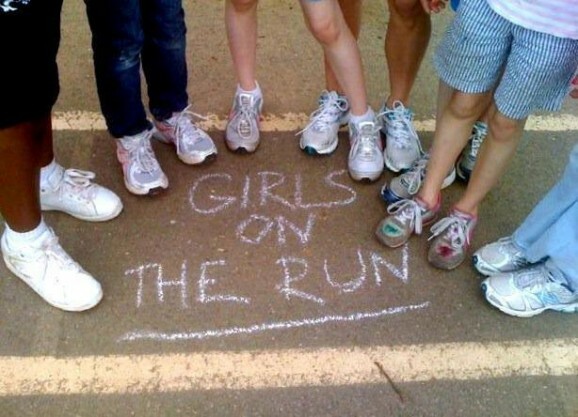 A Girls on the Run curriculum guides their work, so a strong knowledge of running is not a requirement. Davis was so taken by her involvement in Girls on the Run she is hoping AmeriCorps creates a position dedicated to the program. In the session before the Apple Blossom Festival run, she took each of the Sunnyslope girls aside and told them how proud she was of them — and why. “Beforehand, none of them would have every said, ‘I’m a runner’ or “I’m going to go out for sports.’ And by the end, they did a 5K,” Davis said. 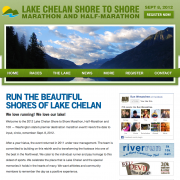 RunWenatchee is helping recruit coaches and running buddies for the Girls on the Run program in the Wenatchee Valley. The program hopes to add more schools next fall, but in order to do that it needs coaches. Girls on the Run also will use the Turkey on the Run 5K event on Thanksgiving Day as the official run for the fall program but may need adult volunteers to run with some kids if parents are not available that day. If you are interested in becoming a coach, please contact Marlen Mendez at 661-3623 or mmendez@cvch.org. If you are interested in serving as a running buddy during the Thanksgiving Day run in Wenatchee, please contact RunWenatchee at 630-2090 or runwenatchee@gmail.com.